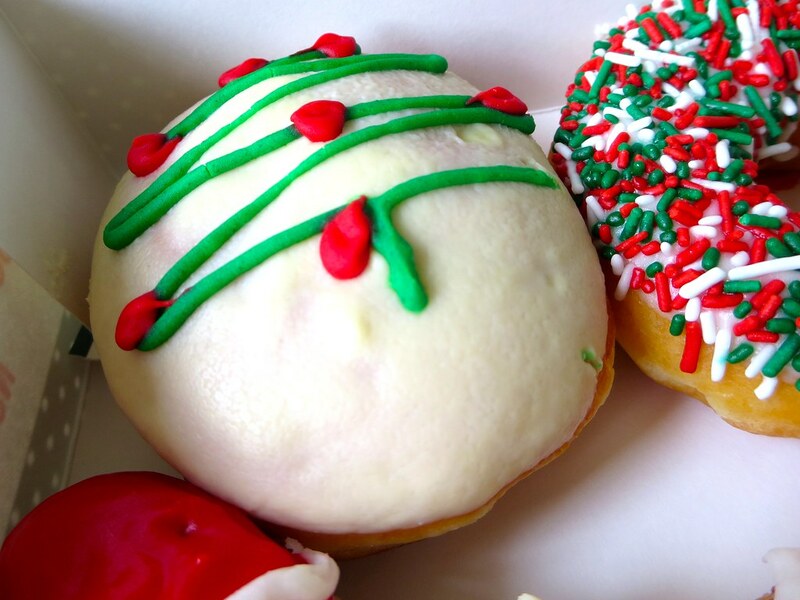 The Holiday Tree Doughnut has yummy Custard Kreme filling, white Belgian chocolate coating, and red and green vanilla garnish shaped like the outline of a Christmas tree with ornaments. 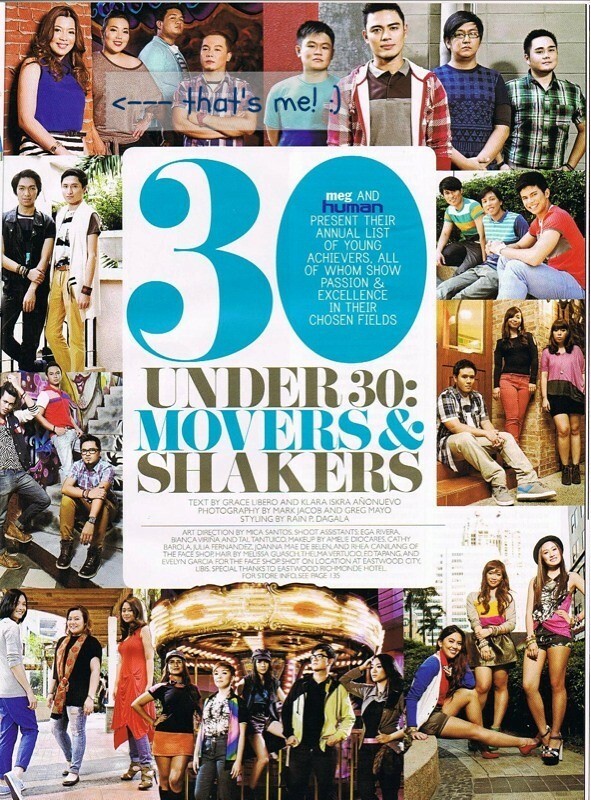 I always love doughnuts with sprinkles on top of it. 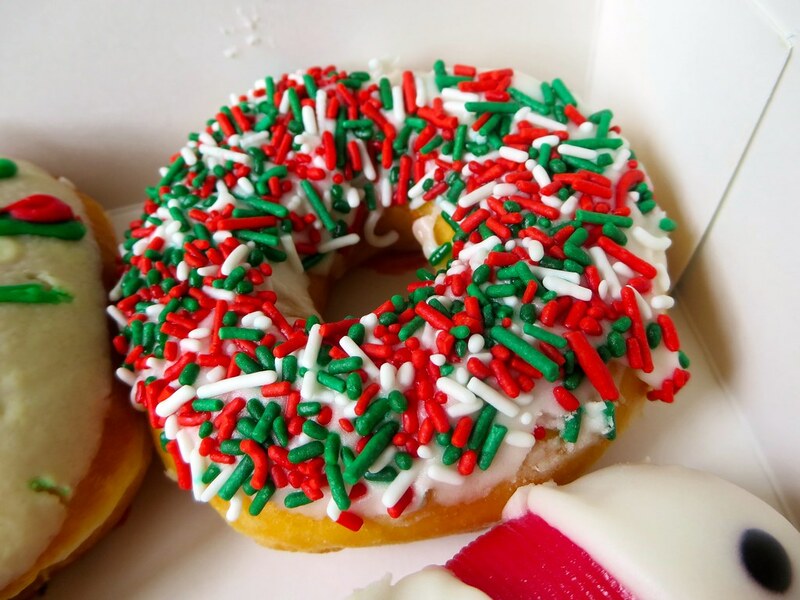 Since it's Christmas, the Holiday Sprinkles Doughnut has green, white, and red sprinkles on top of the white frost icing. 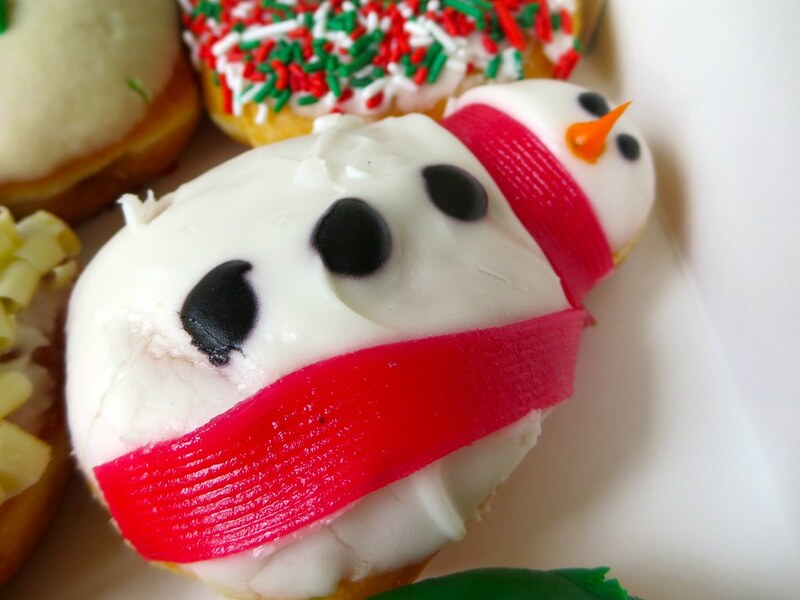 Frozen fans will love this Snowman Doughnut covered in melt-in-your-mouth vanilla icing. I know I do. He even has a red licorice scarf, so cute! 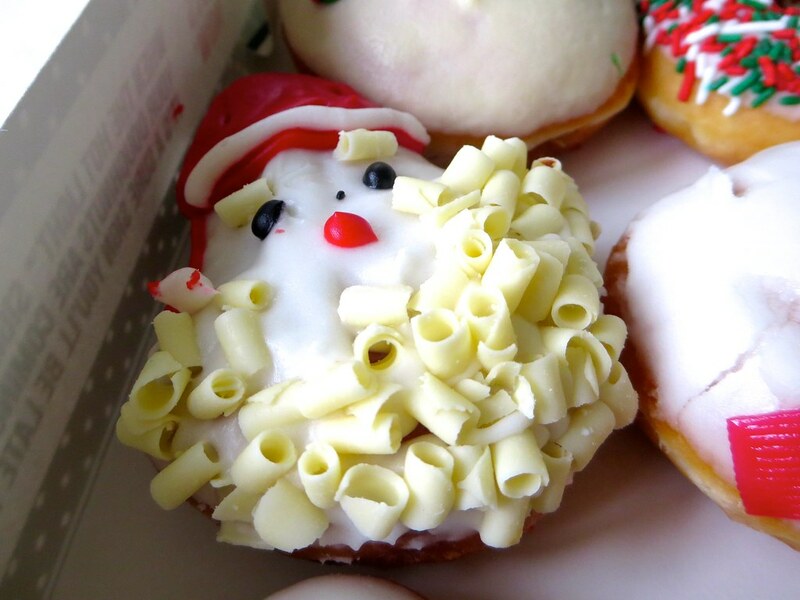 Another cute one is the Santa Doughnut complete with a hat made of red icing and a beard made of white chocolate shavings. I love how the Snowflake Doughnut is really shaped like a snowflake. 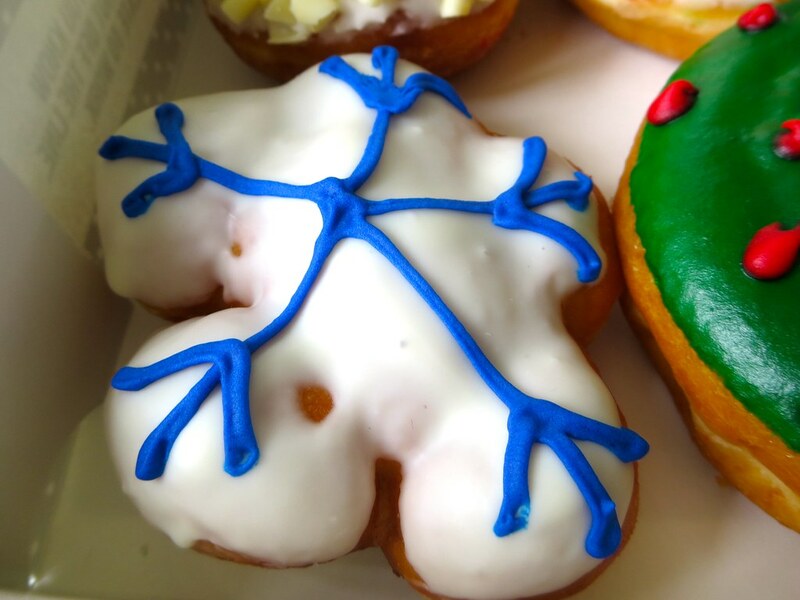 The outline of the snowflake is traced in royal blue vanilla icing over Belgian white chocolate icing. 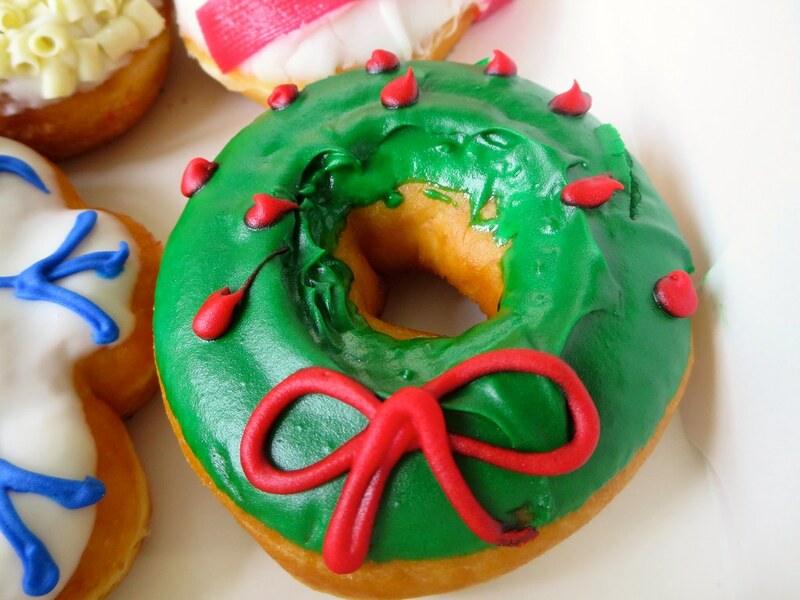 And finally, the Holiday Wreath Doughnut is dipped in green frost icing and decorated with red icing holly berries and a red icing bow. 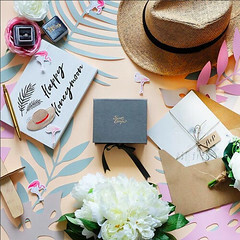 Get a box now at the nearest branch near you and spread the holiday cheer. 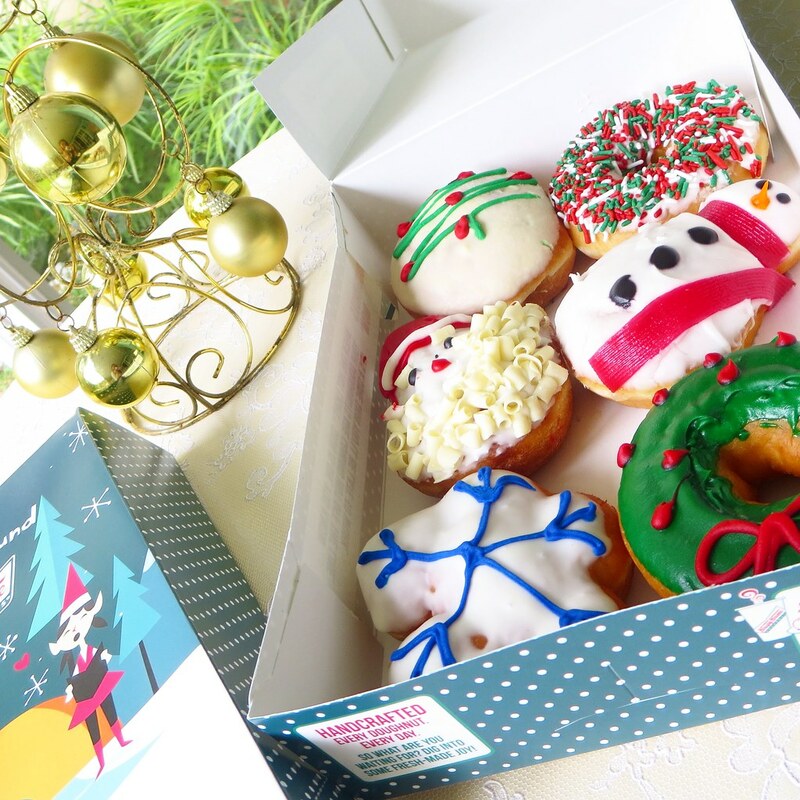 Thank you for sending me another 'Joy in a Box', Krispy Kreme :) Happy holidays! The Santa one is so cute to eat.